Melody Asombrado – Rebuilding from Ashes.. – SEED Center Philippines Inc.
Melody is 23 years old, married and with 3 children with the oldest at 7 years old and the youngest at 11 months old only. Her husband works as a Jeepney driver and earns about PhP 400 a day. 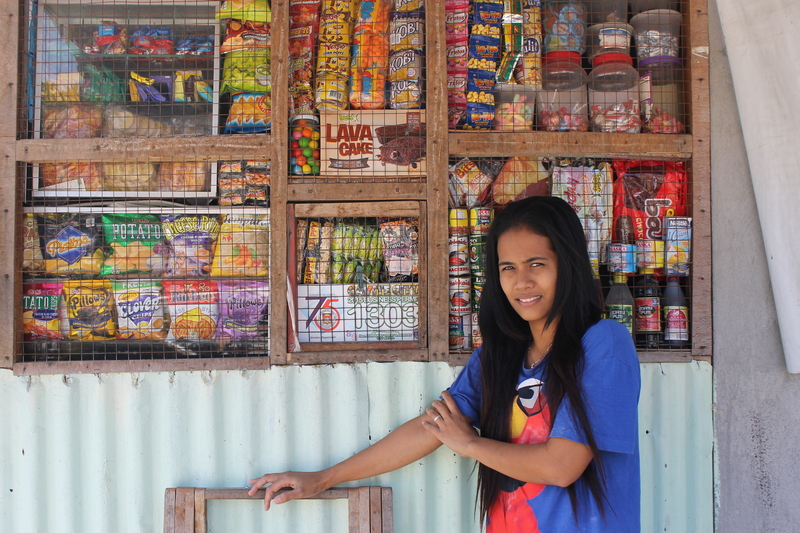 Melody used to owned a sari-sari store (mini grocery store) before and earned a gross of about PhP 2,000 daily. However, 2 years ago, a fire that broke into Melody’s community turned her house and her business into ashes, leaving them without a home and a livelihood. Melody and her husband started to rebuild again. Using the money they saved for their children’s education, her husband repaired their house and she bought groceries (candies, packed bread and snack foods) from what’s left to reopen their store. Melody’s business improved. She had improved her store stall, placing shelves and adding security screens. She was also able to begin saving again for her children’s education. Looking forward to the future..
Melody plans to expand her business and come up with another mini grocery store in the future so that she can save more for the future of her children and increase their resiliency to risks such as the fire that their family experienced before.